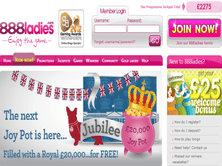 888 Ladies is an online bingo hub running since 2007. It is being managed by the Cassava Enterprises Limited in Gibraltar and by the 888 UK Limited. Given the fact that it is owned by trusted brands, 888Ladies has already built its good reputation among the gamers in the bingo industry and beyond. The site tries to entice its main target audience, who are female bingo players. However, the site is not exclusive for ladies so gentlemen can also join the fun. Social community called roomies is also a great way to extend the player's social circle and to interact with each other. Annual gatherings are also arranged for those members who are active in using the chat feature of the site. The event allows the players to meet up and socialize with their co-players. The company is creating a solid connection among its players. 888Ladies is known for having a user-friendly website interface and impressive features, making it more appealing to women. Bridgend Limited, a subsidiary of 888 Holdings Plc. and Cassava Enterprises Limited, is the software provider of this site. The site has a variation of bingo games. The bingo varieties within the site include 90 and 75 Ball Bingo, Team Bingo, and Progressive Jackpots. Of course, the classic 90-ball bingo is available as it is well-known in United Kingdom. On the other hand, the 75-ball bingo of the United States is also playable. The team bingo is another must-try because it allows you to earn more points while you play with other roomies. The most enticing among these variations is probably the progressive jackpot, which increases the pot money until a gamer declares bingo. Every day is the right day to play the bingo because it has large daily jackpots. A player has the whole week to ace the big 888 Ladies jackpot prize. Progressive and coverall jackpots are also alluring since it ranges from £ 100 to £ 5000. These progressive and coverall can be won during 16:00 to 23:00 GMT of the day. At the end of every month, there is also a whopping £ 8888 bingo game waiting for the lucky player. The site is not all about bingo games. 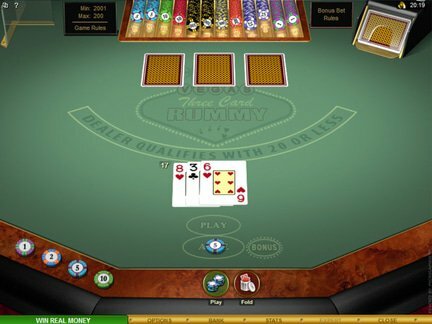 There are also other classic casino games such as blackjack, roulette, scratch cards, and slots. In addition, a player can also access all these games via mobile gadgets because the site supports mobile devices. This means anyone can play the game on the go. Playing the games are more enjoyable with bonuses and rewards. Thus, 888 Ladies bonus are given to the players. Even new players are already rewarded with an instant £ 5 free credit. Upon creating a new account, a player automatically receives the £ 5 welcome credit within 24 hours after the registration. This means you can play the site for free even without making any deposits. Once a deposit is paid, a player will get another 200% welcome credit up to £ 200. The succeeding deposits will also be given 50% increase up to £ 50. Every hour, a player will also have the chance to get free bingo cards up to six cards. These cards can be played and can be turned into real cash once you won the game. Similar with other gaming sites, make sure to read the terms and conditions in order to cash out the winnings from the 888 Ladies bonus. A bring-a-friend program allows a player to gain £ 15 for every friend he or she referred to the site. Aside from expanding your group of friends, you will also get free credits to play more games. Several money transaction methods are available to transfer the deposits and withdrawals. Banking options include bank transfer, check, EntroPay, Maestro Card, MasterCard, Neteller, PayPal, Paysafe Card, Solo, Ukash, Visa, Visa Debit, and Visa Electron. Note that a minimum deposit of £ 10 is required to transact. On the other hand, withdrawal processes are handled within 48 hours so a player must be patient before getting his winnings. Accepted currency is only UK pound. The site is under the jurisdiction of Gibraltar and United Kingdom. English is the only language available in the site. Note that US players are not accepted in to play within 888Ladies. The 888Ladies customer service is highly applauded by its players. Customer support representatives are very accommodating through all their means of communication. An email address (support@888ladies.com), phone number (0-808-101-4776), and live chat are all accessible to contact the company. Almost all the comments for the site are positive. The only negative feedback is about the inability to pay one customer. This customer claimed to win £ 10,000 in a scratch card but she couldn't claim it. The company's customer service immediately responded to this concern saying it was just a screen error. Gambling commissioner in Gibraltar agreed with 888Ladies that it was just an error. In the end, 888Ladies still gave this customer £ 500 credit as compensation to the damage. Overall feedback to this site is really good so deserves a 4 out of 5 rating.